| As always. Since 1982! “How do we optimally bid for Spot Instances to ensure that it is retained for the duration of the workload?” Simple question, right? Yes. Are you kidding? No, it is the answer that is complex! The more you dig into it, the more you realize how deep the web really is. A recap – Spot Instances are spare computing capacity available at deeply discounted prices. AWS allows users to bid on unused EC2 capacity in a region at any given point and run those instances for as long as their bid exceeds the current Spot Price. The Spot Price changes periodically based on supply and demand, and all users bids that meet or exceed it gain access to the available Spot Instances. Consider the following example: A batch workload, running daily at 12:00AM UTC+0530, picks files from an S3 bucket, transcodes those into HD format, and stores the results back into the same bucket. The entire process takes 8 hours on an m3.large instance. The above graph shows the Spot Instance Pricing History for m3.large for the last 3 months. There are lots of spikes in us-east-1e. It is definitely not a good Availability Zone to launch our Spot Instances. us-east-1b has two spikes. It is better than us-east-1e, but we can do better. us-east-1a and us-east-1d have no spikes at all. These are the Availability Zones you should prefer as a first step. Between us-east-1a and us-east-1d, which is the better Availability Zone? Let’s look at their Spot Instance Pricing History separately. us-east-1a shows five tiny spikes in Spot Price while us-east-1d shows three. Clearly, us-east-1d is the slightly better Availability Zone. Setting the bid price at 0.055 USD or more will ensure that m3.large Spot Instances will be retained for the duration of the workload. What if you want to run your workload on m4.large? It is apparent that all Availability Zones have huge spikes. m4.large itself is not a good instance type. We should now start considering similar instances. m4.large has a hardware specification – 2 vCPU and 8 Mem (GiB). Similar instances, considering a percentage variance of Mem (GiB), would be m3.large – 2 vCPU and 7.5 Mem (GiB) and c4.xlarge – 4 vCPU and 7.5 Mem (GiB). The average Spot Price for c4.xlarge hovers around 0.04 USD, while that of m3.large is 0.02 USD. The most similar instance for m4.large, with all else being equal, is m3.large and you should choose this instance and run your workload in us-east-1d at a bid price of 0.055 USD. Did you notice the complex set of steps involved in choosing the right Availability Zone, zeroing in on the best instance type, and setting the optimum bid price? Now extrapolate it to 14 regions, 38 Availability Zones, and 600+ bidding variations. We haven’t even considered when is a good time to run your workload. If your workload start times can be flexible, give or take a few hours, then you might get an additional savings of up to 15%. And yes, we are getting our hands dirty in the elusive domains of Pattern Recognition and Machine Learning. Since the Spot availability and prices are governed by market volatility, there is still a high probability of the instance being taken away from you. In this post, I will explain how to make the best use of Spot Instance Termination Notices. Google Trends shows that Spot Instances are gaining popularity. But what worries us is that people are not aware of the termination notice. How are they managing it then? Short answer: They aren’t! With all these in place and given the volatile nature of Spot Instances, sometimes things do get out of control! A certain Spot Instance has executed a majority of your workflow and only a tiny bit is pending for successful completion. The instance is now taken away from you. Would you restart the entire workflow again? +02:00 – The instance’s operating system will be told to shut down and the bid status will be set to instance-terminated-by-price. You have just been hearing vague action items, such as save the state or checkpoint the progress. What does that actually mean, you ask? Consider a sample stateless application, such as a HealthCheck API, running on Spot Instances behind an Elastic Load Balancer. When a request is made to the application, one of the Spot Instances processes it. But before the result is returned, that Spot Instance is reclaimed. The application, not having received any result, after waiting for a pre-configured timeout duration, sends the request again. Another Spot Instance now processes it and returns the result. Easy-peasy here. The problem is with Step 3 above. What if the HD conversion is 40 minutes deep and then the Spot Instance is reclaimed? If you did not save the state, then you have to restart it from scratch again. Saving the state simply implies that you store the current snapshot in a persistent storage such as S3. When a new Spot Instance becomes active, it first copies the snapshot from S3 and then resumes the workflow. As is evident, it clearly demands a few house-keeping activities – the snapshot has to be moved from the local store to one that is persistent. It then has to be transferred back from the persistent store to local on a new Spot Instance, so that the application can resume the operation. I know you have a few rapid-fire questions for me. Shoot away! AWS sends these termination notices on a best-effort basis. This basically means that while they make every effort to provide this warning, it is possible that your Spot Instance will be terminated before Amazon EC2 can make the warning available. There is also a secret sauce which I have intentionally not delved into. And that’s it – we have accomplished data persistence on Spot Instances, too, just like On-Demand Instances. It is quite an achievement! 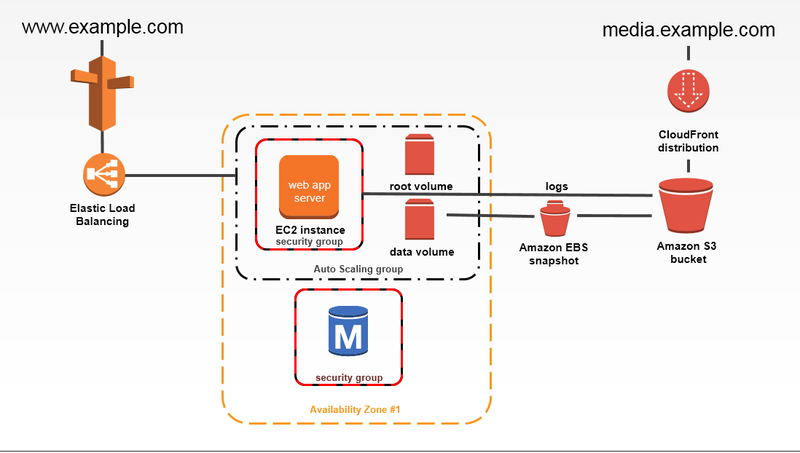 There’s also an alternate way through Amazon Elastic File System (EFS). Amazon EC2 instances mount EFS via the NFSv4.1 protocol, using standard operating system mount points. Currently, it is available only in three regions: Northern Virginia (us-east-1), Oregon (us-west-2), and Ireland (eu-west-1). It is still early days but holds a lot of promise. I completely understand if you say, “Spot management is none of my business.” But, quite frankly, it is ours! Register now for a free 14-day trial of Batchly. Remember: A penny saved is a penny earned! With the lowestPrice strategy (which is the default strategy), the Spot instances come from the pool with the lowest Spot price per unit at the time of fulfillment. To provide 20 units of capacity, the Spot fleet launches either 20 2xlarge instances (20 divided by 1), 10 r3.4xlarge instances (20 divided by 2), or 5 r3.8xlarge instances (20 divided by 4). With the diversified strategy, the Spot instances would come from all three pools. The Spot fleet would launch 6 2xlarge instances (which provide 6 units), 3 r3.4xlarge instances (which provide 6 units), and 2 r3.8xlarge instances (which provide 8 units), for a total of 20 units.